(No specific provisions exist in the MT statutes at this time in regard to “remission”). Owner of cash bond used as bail deposit brought suit for conversion of interest earned while bond was deposited with District Court before criminal defendant was exonerated. The Seventh Judicial District Court, Richland County, Richard G. Phillips, J., entered summary judgment in favor of owner and county appealed. The Supreme Court, Leaphart, J., held that bond remained private property throughout criminal proceedings and, thus, county’s retention of interest would violate due process and takings clauses of State Constitution. Affirmed. Bail bondsman sought to have forfeiture of bail discharged. The city court refused to grant discharge. Bondsman filed appeal and alternative application for writ of certiorari. The District Court, Lewis and Clark County, Thomas C. Honzel, J., dismissed appeal and alternative application. 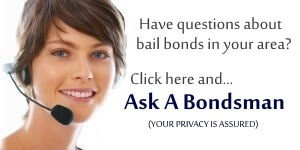 Bail bondsman appealed. The Supreme Court, Turnage, C.J., held that: (1) there was no right of appeal from city court show cause hearing on whether forfeiture of bail should be discharged, and (2) certiorari was proper remedy. Affirmed in part, and reversed and remanded in part. At this time, there appear to be no specific regulations for “Bounty Hunters” in the Montana statutes.